Much fanfare is being made this week regarding the 25th anniversary of Richard Petty’s record setting victory in the 1984 Firecracker 400. While Petty is certainly worthy of being honored, let’s also not forget the accomplishments of the man who won the first Firecracker race 50 years ago: Glenn “Fireball” Roberts. When the Daytona International Speedway opened in 1959, the big summer race at the speedway was originally scheduled to be an open wheel (Indy car) race. However, after a flurry of accidents at an April event, open wheel racing was permanently barred from the track. That left an opening for a second NASCAR event to go with the season opening Daytona 500. Originally called the Firecracker 250, the race was 100 laps until being expanded to the current 400 miles (160 laps) in 1963. 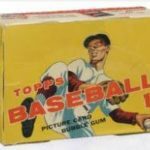 A Florida native, Roberts actually earned his nickname for his prowess as a fireball-throwing pitcher for the Zellwood Mud Hens American Legion baseball team, rather than due to his racing style. His racing career started at weekend dirt track races while attending the University of Florida. He began racing on the NASCAR circuit in 1950 and claimed victory at the Occoneechee Speedway in only his third start. Over the next 15 years, he usually raced only a portion of the NASCAR schedule, but still claimed 33 career wins and 93 top five finishes (in 206 career races). Having been raised only an hour from Daytona (in Apopka), Roberts had particular success racing at what was basically his home track. He led 21 laps in the first Daytona 500 at the Daytona International Speedway in February 1959 before fuel pump problems eventually left him in 45th place. Five months later, Roberts took the poll for the first Firecracker 250 and then led 84 of the 100 laps to claim the victory. In 17 career starts at the Daytona International Speedway, Roberts claimed nine polls and seven victories (including qualifying races). In 1962 he became the first driver to win both the Daytona 500 and Firecracker 250 in the same year. 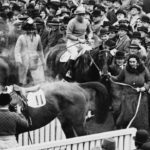 Roberts enjoyed particular success in the Firecracker race as he won the race three times (1959, 1962, 1963) in five years. Sadly, his career ended prematurely as Roberts was severely burned in an accident at the World 600 in Charlotte and he died on July 2, 1964. 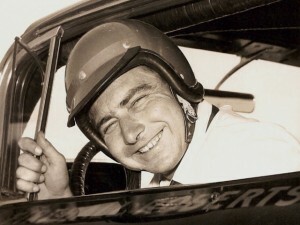 Despite his relatively short career, Roberts was selected as one of NASCAR’s 50 Greatest Drivers and inducted into the Motorsports Hall of Fame.